Brady offers complete label identification solutions that help companies improve productivity, performance, safety and security. Print your own custom industrial labels using our high-performance labels and printers for a variety of applications. 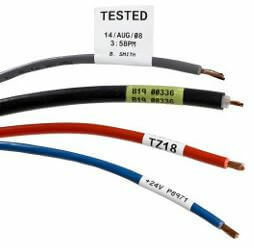 Brady's cable markers, wire markers, tags, sleeves, and flags give you the ability to produce clear, sharp text to mark your labels or wires.